The general validity of Keynes’s critique of orthodox economic theory is still an unsettled question (as is the question of what the critique actually comprises) amongst economists. There can be little question, however, that the appearance of the General Theory  did much to change the focal point of theoretical economic enquiry; the questions that were posed and the framework that was used to analyse them. 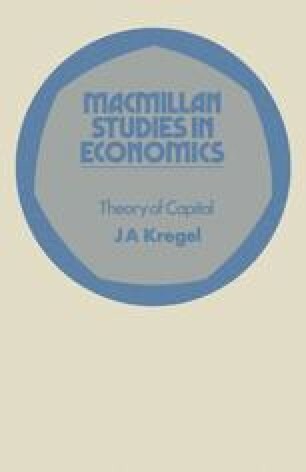 One set of problems that virtually disappeared from academic discussion as a result of this change of emphasis was the analysis of capital and capital accumulation — questions upon which economists had been in active theoretical dispute almost since the inception of abstract economic reasoning.